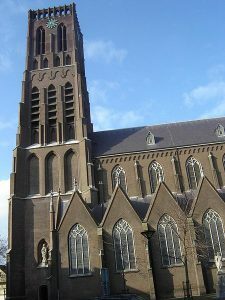 Oss is a city and municipality in the province of North Brabant, in the Netherlands. 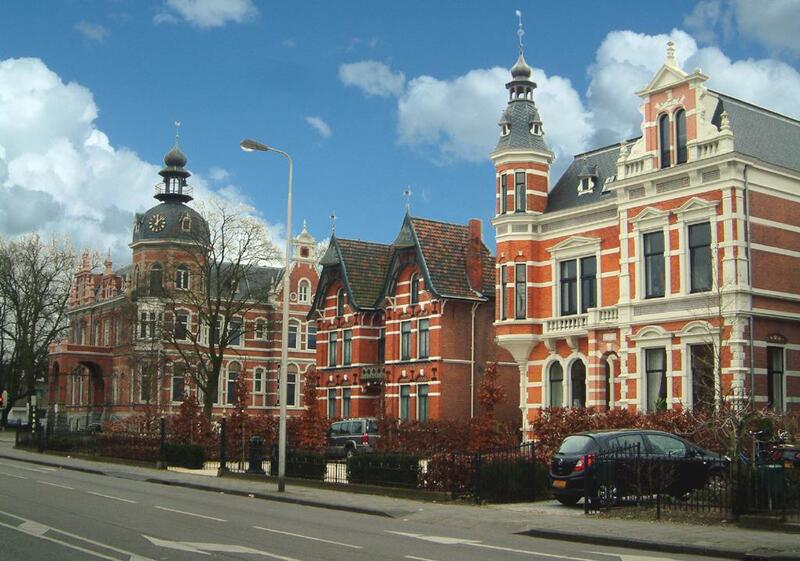 The municipality has a population of 85,000, while the city itself has around 56,000. The area has been inhabited for over 2,000 years according to archaeologists who found a grave mound in Oss, which turned out to be the biggest of its type in that part of Europe. It contained a wide array of articles including a richly decorated sword made from iron. The town was given a charter to become a municipality in the late 14th century. However despite this, Oss carried on being a very small and mainly agricultural society, right up until the 1800’s when Industries began to be developed in the town. 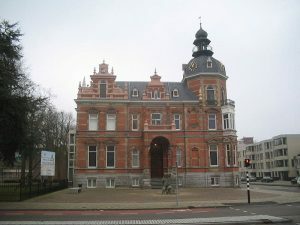 The train station at Oss was opened in the May of 1881 and still runs a good service, every 30 minutes from Zwolle and Roosendaal. The bus from Eindhoven Airport to Eindhoven is about 20minuites on the Line 400 bus. Then the bus to Oss from Eindhoven takes about 50 minutes and runs every half hour. There is also a train, but that takes just over an hour. There is a very good bus service in Oss. The buses are very reliable and not too expensive. The best way to pay for your travel is to get an ov-chipcaart. This is a small card that you carry in your wallet. You can load it up with credit for your journeys at train stations and participating shops. Then you just tap the card on to the card reader as you get on and off the bus and it will automatically deduct the right amount for your journey. Oss is a fairly compact place and getting around by bicycle is a good option. There are plenty of cycle lanes and bikes are cheap to hire. If you would like to travel by taxi, then you will find them waiting at taxi stands at stations and other busy areas of the town. If you would like to book one by phone, then you can dial, Taxi Centrale Oss 06-41036485, or, Taxi 2 +47 33 30 87 47. There is a very good fair in Oss in August that consists of nearly 90 rides and other entertainments. It was number 37 in a list of 100 best events in Holland. It is also the biggest event in North Brabent and has 350,000 visitors every year. The museum, Jan Cunen, opened in the 1930’s, it is housed in a very interesting mock classical villa. They have a lively program of exhibitions through the year and they also house a large and varied collection of work, by artists of the 19th century. The museum also has a good collection of modern art. Also there is a varied program of activities such as theatre performances, lectures, concerts and literary events. Amici D’Italia is a fine Italian restaurant in Oss. They also hold cookery classes where you can learn to cook good Italian food and then sit down to lunch on your own creations. In fact you can make a four course dinner with your friends, or for the slightly less adventurous, you can make a lovely Italian pizza cooked in a wood fired oven. The Oss centre is a large shopping centre where you will find all of the usually available shops that sell homeware, clothes etc. There are some more local stores as well and it is a great way to get all of your shopping done in one place. For something a little more out of the ordinary, or for those looking for a good deal, there are some excellent markets in Oss. The market in Terwaenen is on Tuesday and Saturday mornings and the one in Boomgaardstraat, is only on Tuesday mornings. De Spieghel is a very good local restaurant serving both Belgium and Dutch food. It has very good service and food and very helpful waiting staff. It also has a very good selection of beers, both bottled and on tap. The Interestingly named restaurant Pardon serves good quality Dutch food in cosy surroundings. The casual atmosphere and the friendliness of the staff make for a very enjoyable, but not over formal, meal. Delphi is a nice restaurant in Oss serving traditional Greek Food. They have a good menu and also do regular specials of the day. Orient Garden is a nice Chinese restaurant. It has a very comprehensive menu and the food is always good and fresh. The service at the restaurant is also very efficient. There is no parking, but if you are staying in the area then this will not be a problem. De Rooij Peper is a tiny tapas restaurant in a side street in the middle of Oss. It can get very full, so rather than just turning up, you would be well advised to book a table in advance. This is especially so at the weekends when it generally is very busy. They usually have around fifty types of tapas and all are very good quality. Oss is a quiet industrial town with a solid working class population. But there are some interesting places to visit and some very good art museums and restaurants. If you are going to Oss it is well worth going to the tourist information as there are many events on at different times of the year.